Oliver Dehne's notes on software development, EFI DirectSmile products and other random stuff. I’m very proud to let you all know, that DirectSmile started an online forum last week. DirectSmile always appreciates your comments and suggestions. Running the support portal for a few years now, we established a strong relationship with you, our dear customer. The support portal is very effective, but one-on-one though. For all the general questions, solutions and announcements, we have created the DirectSmile Forum. To capture the brought range of products, we created different areas in the forum. No matter if you are interested in our desktop or server products, please feel free to search for articles or ask us questions, give us tips or leave comments. This week we added a new parameter to the stream image interface of DSMI that you can pass if you like DSMI to rotate the resulting image. 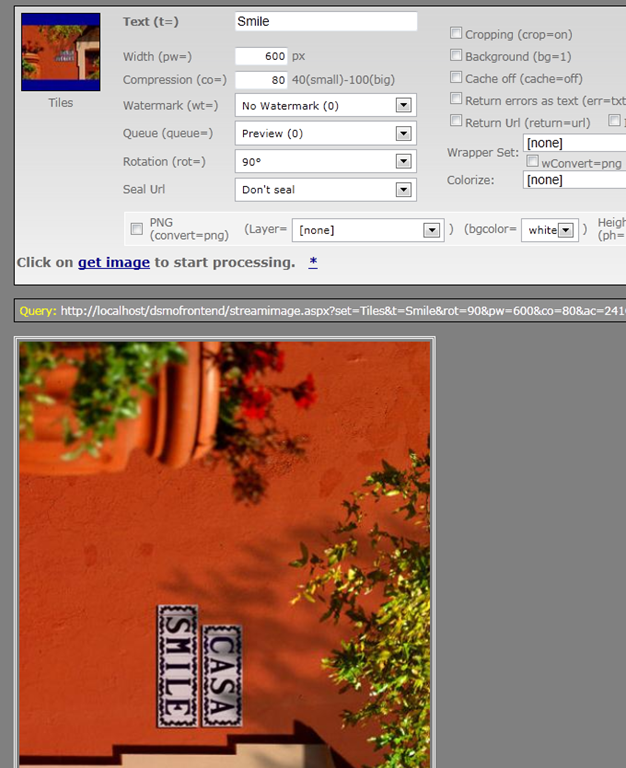 Just add &rot=Angle to your request URL and your image will be rotated in 90° steps clockwise. Possible values are: 0,90,180,270,360. We updated the stream image test web site inside DSMI as well.